HubSpot's annual conference, INBOUND, is underway in Boston, and as always, there are a plethora of new product announcements. But before we recap the product announcements, another big shift that HubSpot is making to move from the famous marketing "funnel" to the new "flywheel" methodology. 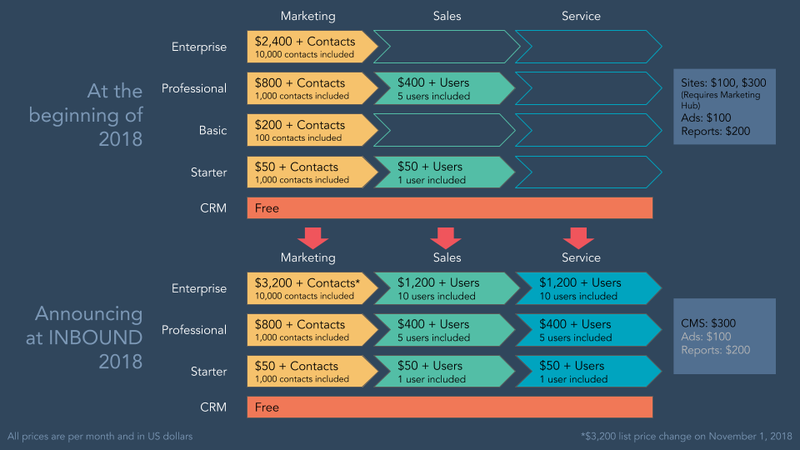 When I first heard that there was going to be this dramatic shift to how we think about our marketing and sales initiatives, I was a bit skeptical, however, when thinking about the concept of the flywheel in more detail, it makes a lot of sense. As HubSpot mentioned in the keynote, "Funnels lose the energy you put into them once you reach the bottom, but flywheels are remarkable at storing and releasing energy." The linear approach of the funnel did not account for the energy that is needed to not only build relationships, but also to maintain relationships and the energy around your product or service. The flywheel does just that, and HubSpot's product announcements illustrate that they are truly an all-in-one marketing, sales and customer experience platform. Marketing Hub: Host and manage video files within HubSpot for free. With this update, you can embed videos into website pages, blogs, and social media channels with just one click. In addition, you can now add in-video CTAs and forms to make videos interactive. Finally, new landing page video analytics will help maximize the impact of video in your marketing campaigns. Sales Hub: Build stronger relationships with prospects by creating, sharing, and tracking personalized videos directly from the HubSpot CRM. Service Hub: Help customers faster and more completely with personalized help videos created and shared directly from Service Hub. In addition, agents can record their screen right from a ticket and send to customers, which will improve service levels and assist in solving issues faster. Service teams can also host and embed videos in their knowledge base. Set a limit to how many emails you send a person over a specified period of time with HubSpot's new send frequency cap. Coming soon. Automatically and continuously test assets such as lead flows with a single click. This alleviates the need to manually create multiple A/B versions and worry about statistical significance. Coming soon. Restrict content access to internal audiences, paying customers, or other groups of people using HubSpot lists through membership-driven content. Coming soon. View detailed analytics on the performance of your video content on YouTube through enhanced YouTube video integration analytics. Automatically score and rank leads based on their likelihood to close as customers, factoring in hundreds of behavioral, demographic, and technology factors. 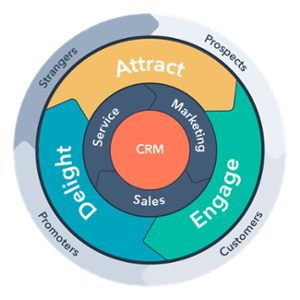 Seamlessly integrate your marketing and sales data leveraging HubSpot's free CRM. Use live chat to engage with prospects and customers at the exact moment they want to engage in a one-to-one conversation. Scale live chat conversations on your website and on Facebook with chat bots integrated into your HubSpot marketing and sales platform. Manage all conversations with your prospects and customers using the universal inbox. Enable your sales team with sales playbooks to help teams build a library of best practices and resources. Simplify the contract process with integrated eSignature. Manage your pipeline with enhanced quota management tools. Build a help desk by allowing users to turn chats, emails, and form submissions into tickets that can be managed and monitored in HubSpot. Respond to customers faster by building a library of email templates, short text response snippets, and documents with knowledge articles. Connect with customers in real time through live chat, and easily book meetings via shared calendar links. Enterprise-only updates include: calculated fields, custom bots, and teams. Utilize HubSpot's CMS as a standalone product that combines the power of website creation with HubSpot's CRM to customize the entire customer experience. Leverage smart/dynamic web content by hosting your website on the HubSpot CMS. Utilize a safe, SSL-enabled browsing experience backed by a world-class content delivery network. 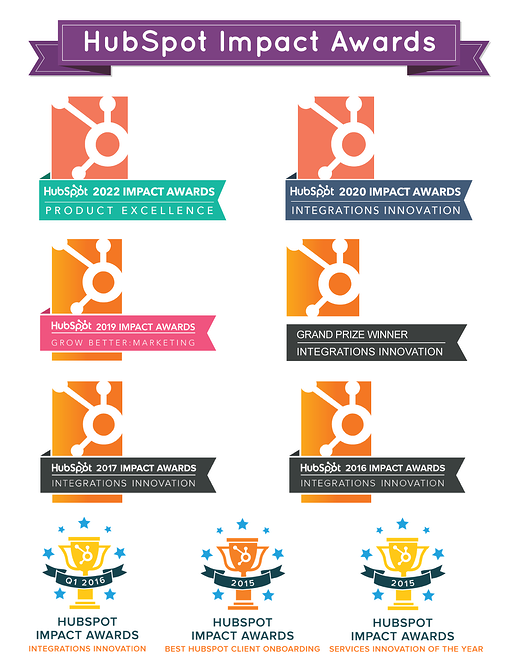 As you can see, HubSpot has made some substantial product enhancements and new product announcements this year at INBOUND. In our opinion, HubSpot continues to build a truly comprehensive, all-in-one platform for marketing, sales and the overall customer experience. Do you want to learn more about HubSpot's latest features, or see if HubSpot may be the right tool for your marketing and sales alignment? 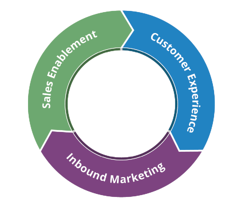 Schedule a complimentary inbound consultation with a member of team. In addition, HubSpot has made updates to the HubSpot Basic subscription with the new addition of Marketing Hub Starter. 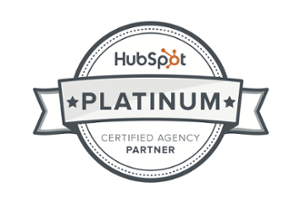 In July, HubSpot released the Marketing Hub Starter product with added email functionality. When combined with the free CRM and the new standalone CMS product, Marketing Hub Starter encapsulates the most widely used apps of Marketing Hub Basic. HubSpot believes this new collection creates a better experience for their customers than Marketing Hub Basic at a fraction of the price. As of September 5, 2018, HubSpot will be removing Marketing Hub Basic from their pricing page. Please note that the decision to remove Marketing Hub Basic from their pricing page does not change anything for existing Marketing Hub Basic customer subscriptions.